Hanoi (VNA) - The Supreme People’s Procuracy said on August 15 that it had issued an indictment against 49 accused of being involved in a gambling ring via the cmd368.com website. Four persons, including Bang Tu Manh from Ho Chi Minh City, Luong Quoc Khanh, Dang Hung Anh and Mac Thi Huong from Hai Phong city, were charged for organising the gambling activities while 45 others were accused for taking part in them. 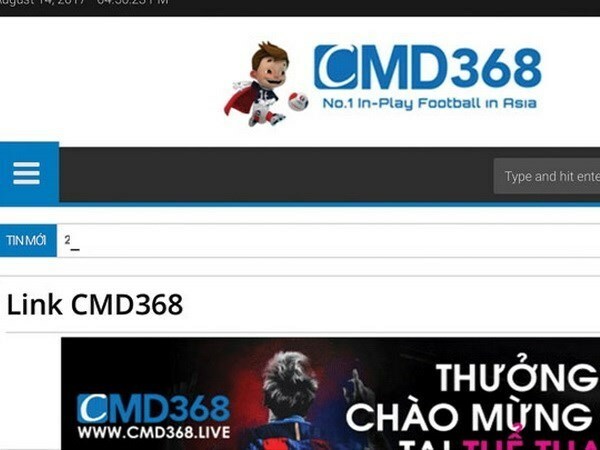 According to the indictment, in December 2014, Bang Tu Manh was introduced by his friend to work for a gambling company in Cambodia at cmd368.com website. From August 2014 to June 2016, Manh, along with his gang members, including Khanh, Anh and Huong, colluded with several foreigners to open bank accounts or rent them on behalf of cmd369.com in Vietnam. The move was to help gamblers in Vietnam transfer money accrued from betting on football, basketball, tennis or online gambling. Manh played a role as the ring leader to organise gambling activities with foreigners in Vietnam, collecting money from other members, and then transferring the money illegally to gambling establishments in Cambodia. Manh transferred the money to gamblers in Vietnam with the guidance of the gambling organisers abroad and paid wages to others who were renting out accounts. The total money collected from the accounts of Khanh, Huong and Anh’s reached 49.5 billion VND (2.2 million USD). Manh and his accomplices had withdrawn 20 billion VND from the gambler’s account, and then sent it to the representative of cmd369.com. The remaining money was transferred to the various accounts of gamblers who had won. For their role, Manh received 115 million VND, Khanh got 35 million VND, Huong got 59 million VND and Anh received 80 million VND. Nguyen Duc Thinh and Nguyen Quang Ha are the main gamblers among the 45 who joined the gambling network. Thinh and Ha had transfered over 1.6 billion VND to various accounts.